Why are board games getting more popular? We try to find out! We all know the time when we gathered our friends, got a few snacks along the way, sat around a table, and play Monopoly and Uno all day long, chomping on our favourite chips and having a time of our lives. That feels pretty nostalgic now, considering the millennial age is mostly interested in the internet, or so it seems. After some recent surveys, it has come to light that the newer generation of children and teenagers alike are particularly interested in board games and are contributing a lot to make them great again, but why? Let’s look in detail! 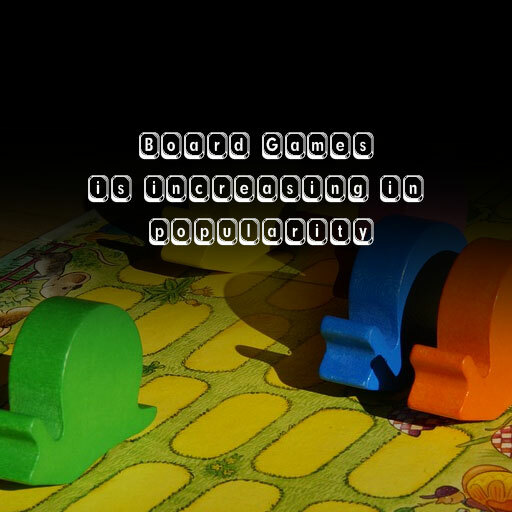 The second most common reason that board games are getting favorite is that the manufacturers of the games finally know that the modern age can only be convinced through the internet, so they have upped their marketing and advertisement to a whole new level, and introduced these new board games with an entirely different perspective that appeals to the young audience. Considering the fact the board games were one of the first games to be invented in the world nearly thousands of years ago, they won’t go down anytime soon! You all played Chess, GO or Monopoly at least once in your life, right? Well, they’re getting some more expansions and spin-offs. If you search the classic board games on Kickstarter, many new fundraising campaigns have started for more modern variations of already existing games, like a Star Wars version of Monopoly, an expansion for Settlers of Catan to allow more players, a newer variety of Pandemic and many more. The creators are breaking the wall between media and board games, and because of that, they’re getting a whole lot accessible than they used to be! That’s some of our thoughts on why the age of Board Games is rising again. Although no board game has beat the sales and popularity of the all-time classic Monopoly, there have been many new ones released that had the potential to, with the best ones being Ticket to Ride, Settlers of Catan, Pandemic and Carcassonne. What are your thoughts on the recent spike in the popularity of different board games? Do you think it’ll be influential, or will this merely be buried into dust after a few months? Read all of my board game blog posts at https://www.best-boardgames.uk. Hope to see you on my blog again. Thanks!